In the 1940's a fire destroyed the structure at 880 Barnes Street in New Kensington. These photos depict the new structure that was built on the site. 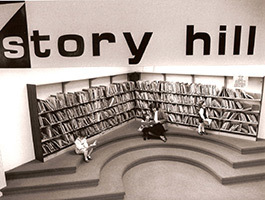 The work occurred shortly after the end of World War II, Through the years this building housed a drug store, a supermarket and since 1973, Peoples Library. 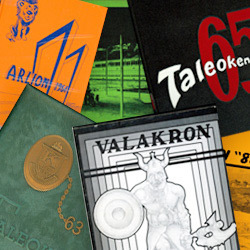 Take a stroll down memory lane with our vast collection of high school yearbooks at Peoples Library New Kensington! The collection spans 75+ years of cherished high school memories from Ken High, Arnold High, and Valley High School. 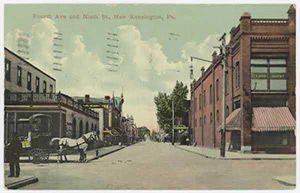 Take a virtual walk through the historic New Kensington area by viewing Peoples Library's new collection of historic postcards against the backdrop of current street views courtesy of History Pin in collaboration with Google Maps!